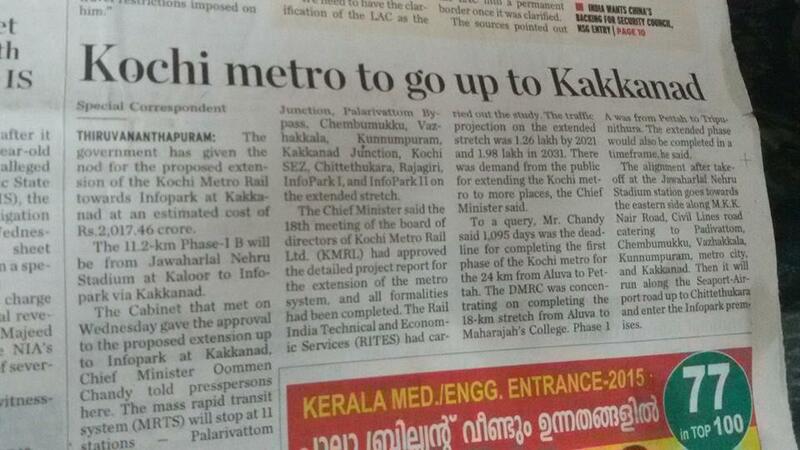 Metro Terminal Planned at Infopark, within a KM from Casadel Skylife project. The metro alignment of phase II extension from Jawaharlal Nehru stadium to the Infopark via Kakkanad is for a distance of 11.17 km. The Kochi Metro Rail extension starts from Kaloor Jawaharlal Nehru stadium to Kakkanad Infopark will consist of 11 stations and we provides best villas in Cochin. The cost of establishing the 11.7km extension is estimated to be around Rs. 1627 crore.